It’s back with a twist for the Edinburgh Festival Fringe 2014! 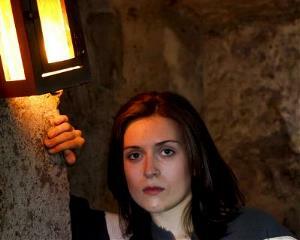 The Dark Truth Tour: Death & Decay will take place at The Real Mary King’s Close from 1-24 August Thu-Sun 10.30pm. Tickets are £17.50 and available now online and over the phone or in person at our ticket desk. After rave reviews and sell out performances, The Dark Truth Tour returns for 2014, with a new spin looking into the darker tales of death and decay with a wicked comedy edge. With our unique mix of fear and frivolity this interactive event will entertain you with sinister tales of plague and pestilence and murder most horrid witnessed by those who lived and worked in the closes. 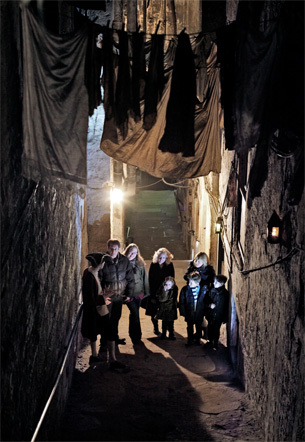 Expect the unexpected as our underground site is steeped in darkness during this late night special tour which delves deeper than ever before into Edinburgh’s murky past. With the lights turned low and shadows cast wide, you will learn the whole and often dark truth behind the tales of death which haunt the hidden city. The question is, are you brave enough? 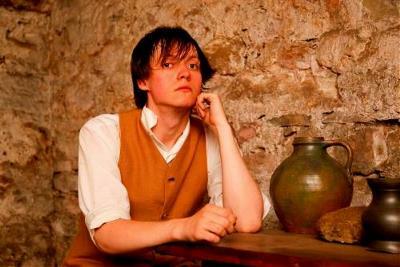 Thu-Sun, 10.30pm from the 1st-24th August, the warren of underground streets beneath the Royal Mile will come alive for this exclusive Fringe event, where you will encounter never previously seen haunting characters who once roamed Edinburgh’s closes. Over the year’s guide research has uncovered even more about Edinburgh’s sinister past, much of which may be unsettling to our more sensitive visitors. The historical stories linked to the Close are weird, wonderful and quite disturbing. This special tour is aimed at audiences looking to experience that edgier, murkier side to Edinburgh’s history, details that will send a shiver down your spine but may often leave a smile on your face!